Atlas Dinky 1404, received from Jean-Michel Roulet. 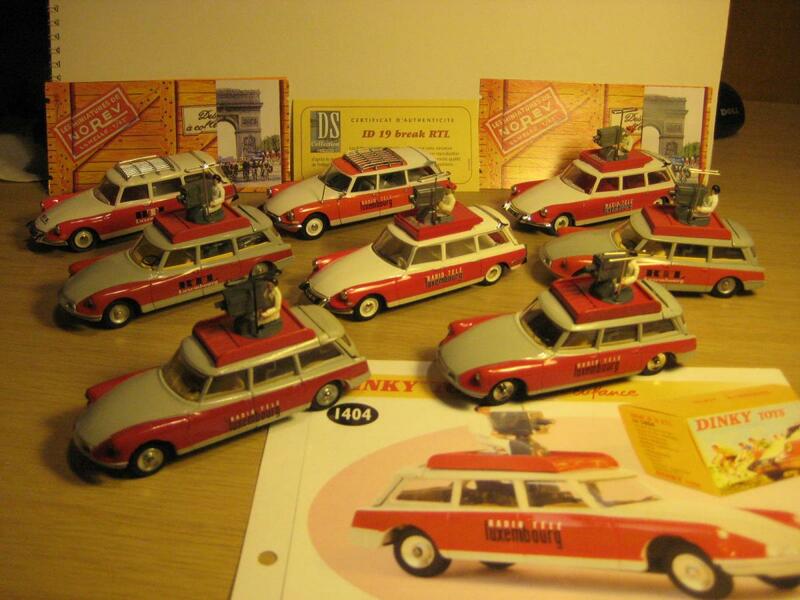 Pictured with an original French Dinky, two Dan-Toys RTL, and four Norev variants. Well I have three Norev 1/43 riders including the yellow jersey. 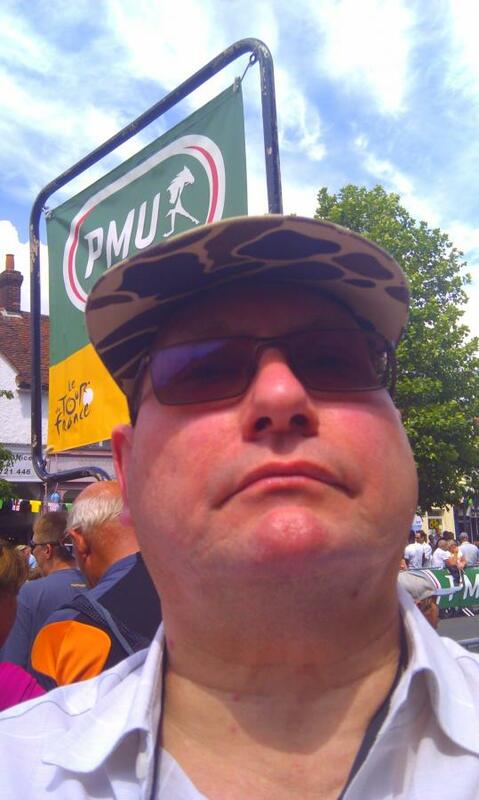 Here I am watching the Tour in 2014. 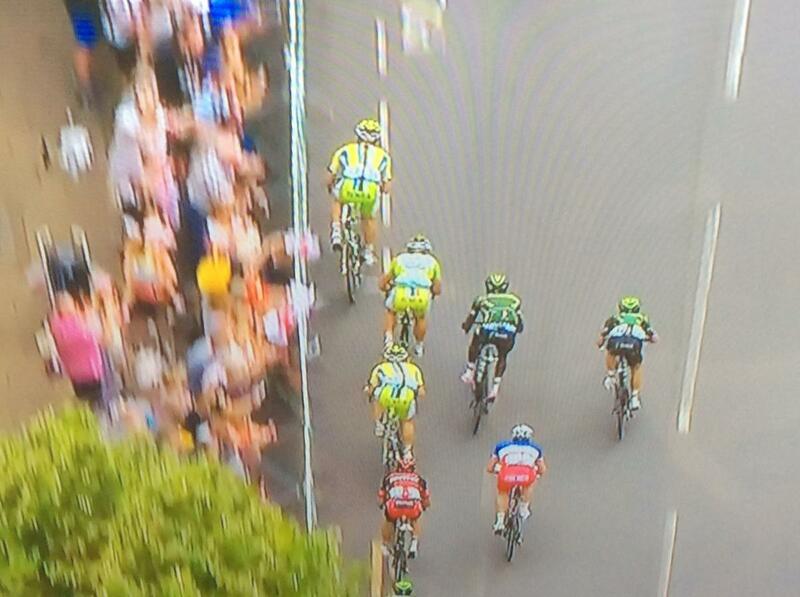 In the aerial shot I am in the cluster of spectators being passed by Peter Sagan. I'm guessing somewhere in the UK? Does Norev do a convincing period cyclist with a light cotton cap or will you need a file and some sandpaper? Whatever, you have a wonderful collection. Epping - where the spectators are better behaved than the French! Norev riders not to be confused with the gillets jaune. 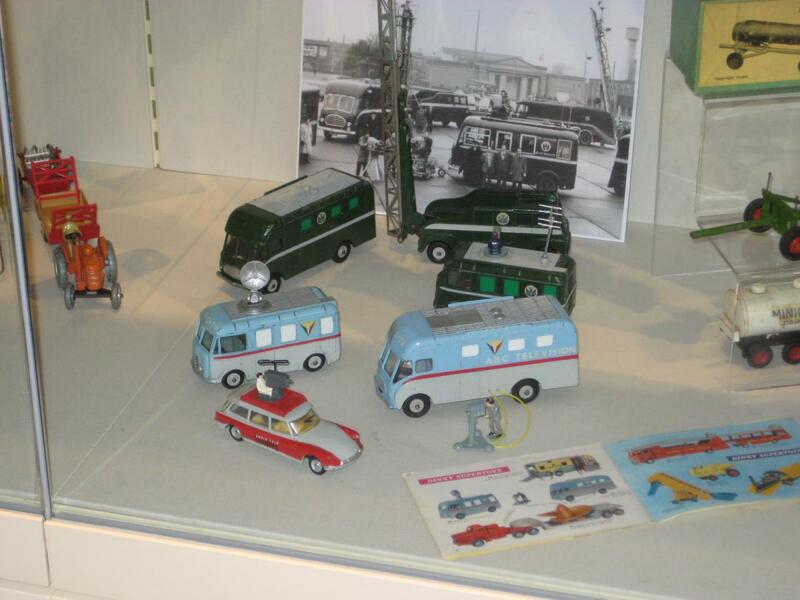 Had my BBC and ABC Dinkys displayed at the Amersham Museum a year ago; currently awaiting a resin Citroen ID TV car in BBC livery as used for horse racing filming. 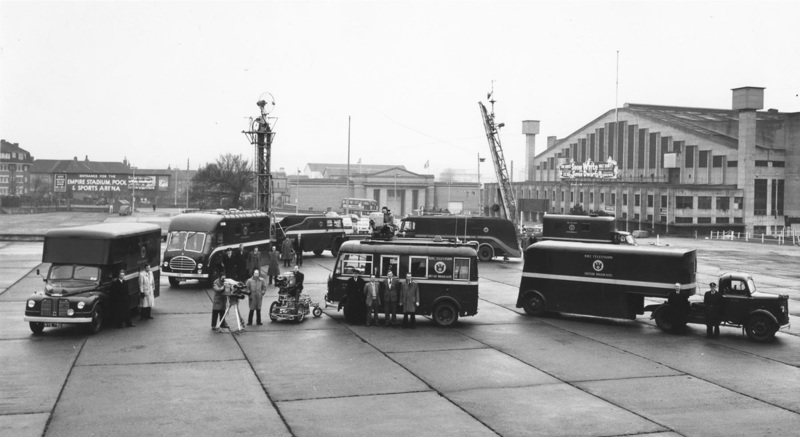 Herewith photo of BBC trucks. 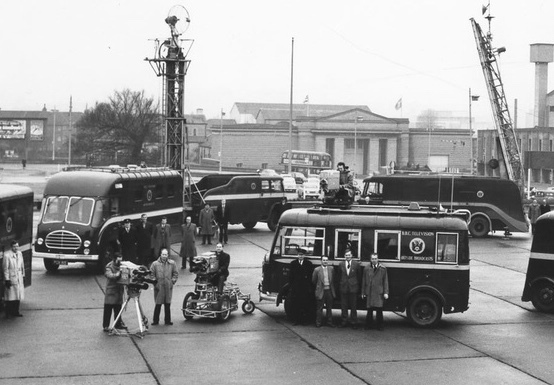 I think I own BBC Outside Broadcasting vehicles for real. In 2008 BBC Outside Broadcasts was sold to SIS (not the spies but Satellite Information Systems). SIS was founded in 1986 by the big four bookmakers for sports broadcasting and I own shares in the founding companies. Incidentally the new CEO of SIS is Richard Ames, latterly CEO of Hornby..............small world as they say.